Content from multiple SDOs in one place. We convert static content into a machine- readable, structured, and uniform format. Then we put all the books into one database and connect them together, allowing you to search through resources from multiple content providers at once, rather than document by document. All content is provided on MADCAD.com's cloud-based resource library, which means you'll never need to download or install a thing. 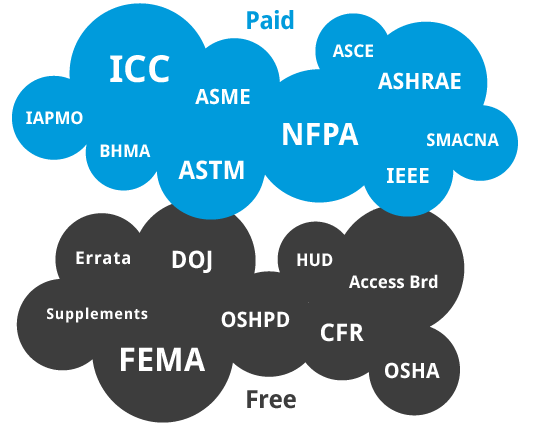 Access content from anywhere - at home, the office or even at the project site! Advanced search & filter tools. 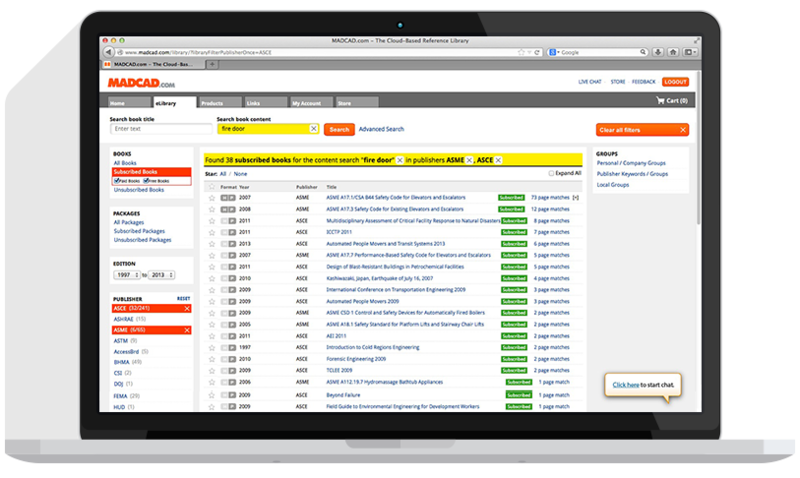 Advanced search tools allow you to search through information from all content providers in under a second. Turn filters on and off to narrow down search results by edition, content provider, keyword and title. Quickly see the number of matches in each book, sorted by relevancy, to help guide you in your search. Highlighted search results help you find what you're looking for. 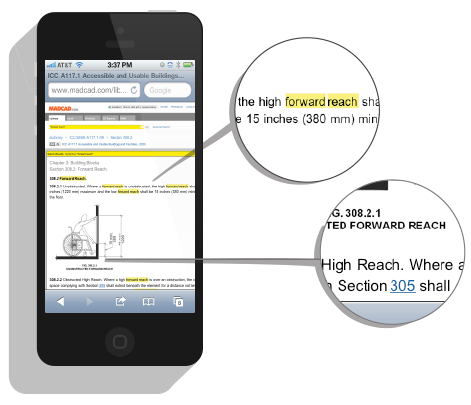 Links within the text take you directly to referenced sections, figures and tables. Choose how you want to view content. Content is displayed in the same format as hard copy versions, making it easy to compare notes with others using hard copy formats. All content is converted into a standardized format that is ideal for fast loading and searching speeds on your computer, tablet or smart phone. Copy & paste all tables, images and text into an editable form. Research & share information efficiently. Search through more than 50,000 reference books in less than a second. Use filters to narrow down results. Search results are highlighted within documents. Links take you straight to referenced sections. 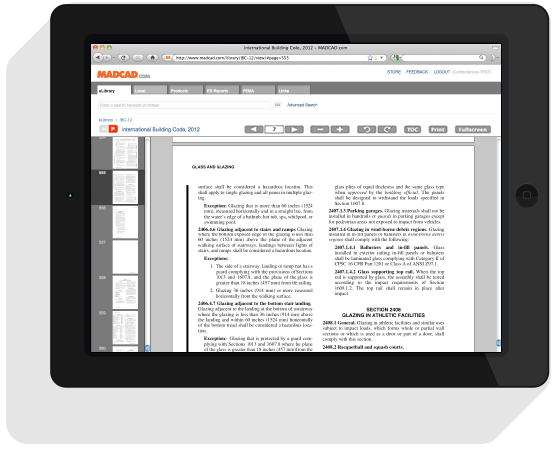 Stay up to date with automatically updated errata. 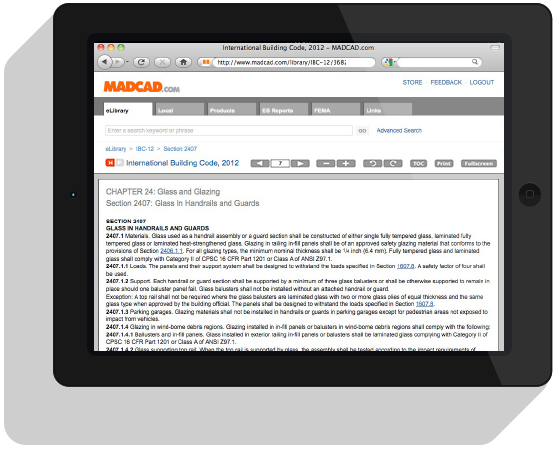 Access MADCAD from any smart phone or tablet. Add more content or users to your account instantly. Share subscription access with employees in any location. Check usage stats and adjust your subscription accordingly. * Depending on the SDO, these capabilities may vary slightly.